Apparently, this unfortunate photo was taken during a speech at the 2007 “Take Back America” conference in Washington, June 20, 2007. Original source of the image is Reuters, but the Yahoo! link is here. Today started out earlier at about 5:30am while I prepared for today’s meetings with a tight schedule of four companies. After finalizing the consideration metrics I headed downstairs for the “Western” breakfast that is served here at the Grand Skylight Hotel. It’s interesting how they organize the buffet and also interesting what is considered western style food. It seems western food in China is what Chinese food is in America. They had noodles, dim sum, green beans with bacon, and the strangest looking baked beans I had ever seen. To be fair, they did have a good choice of juices, pastries, and yogurts in almost any American breakfast outfit. I tried as much as I could of everything before feeling full and heading out to my first meeting. Joe, my guide, had organized for a car and driver to pick the two of us up from the hotel and to drive to each of the factory meetings. For the entire day the driver and car cost 500 RMB, or about $60. A pretty good deal considering we travelled over one hundred miles and in sometimes awful traffic. Traffic here is different. No one follows normal moving traffic laws whatsoever. It isn’t always speeding, but most times driving on the wrong side of the road, driving on a sidewalk, blocking the box, or taking up more than one lane for far more time than it takes to change lanes. The bicyclers and pedestrians ride or walk into traffic whenever they see fit — even on extremely busy highways. With all that craziness happening, though, it seems that no one suffers from road rage. In the evening and after my final meeting a company decided to take me and Joe out to a traditional Chinese dinner. We arrived at the restaurant and went upstairs to be seated. After a formal introduction with the General Manager of one of the factories I was invited downstairs to choose our meal from any one of the living creatures in the water tanks. From regular shrimp and fish to eel and snake they had just about anything one could possibly think of eating from the water. I enjoy trying new things but I have to draw the line somewhere and I think snake was probably it. As for the meal that was chosen it was very good and I think my gracious hosts for taking me out on the town. I almost made it through the entire meal without needing a knife, fork, or any utensil other than chopsticks but when some members of the dinner party started cracking the crab claws with their teeth I decided a claw cracked would be in order. After the meal we headed towards the ocean for a drink and some possible shopping. It was there at the coast that I saw a large white statue of a half naked woman holding something above her head. They tried explaining it’s symbolism to me but it was lost on me even after I researched the statue online when I returned to the hotel. Overall, the day was full of events and those events left me exhausted. The rest of my flight went really well.Â On our final approach, it was tough to see the Hong Kong skyline due to the fog and glumless of the inclement weather.Â That was a little disappointing because I wanted to see the Kowloon and Hong Kong high rises on our way in.Â I’m sure I will see them again, though. Clearing passport control was a breeze, but then I stood around the baggage claim waiting for my bag to come around.Â It never came.Â The United Airlines associate told me to wait in Hong Kong for the night (I was scheduled to be in Shenzhen) and my bag will eventually show up.Â As we are filling out the paperwork, his radio goes off — they’ve found my luggage.Â Time for the bus ride.Â Did I mention that’s just what I wanted to do? I met up with Joe, my guide who lives in Shenzhen, just outside the customs declaration area.Â Surprisingly, I found him instantly amonst the throng of people and we made our way towards the bus station.Â As soon as we arrived, a doubler decker bus showed up and we jumped on.Â I felt a little uneasy leaving my bag on the first deck while sitting on the second deck but I decided to let it be and just enjoy whatever overcast view we would get. Despite the low clouds and fog, it was possible to see some of skyline and the sea when we were crossing the bridges.Â It was beautiful and I can’t wait to see it during a clear day.Â Before long we were at the train station — time to head up to Shenzhen.Â The subway cars are really clean and have instructions in English and Catonese.Â One of the first differences I noticed was how the subway cars weren’t separated like a rail car in London or New York would be. Of course there’s multiple cars per train but from the inside it looks like a long moving hallway.Â I’ll annotate with a photo when I get a better Internet connection.Â I suppose this allows for more people to be on the train at one time. Leaving Hong Kong and entering the mainland was a cinch.Â There were no problems whatsoever and the next stop was the taxi queue.Â After a $3 ride we arrived at my hotel — The Grand Skylight Hotel.Â I checked in and was pleasantly surprised at the quality of the room.Â Nice hangers in the closet, a fully stocked (and free) minibar, a good view of the street, robes, and a nice bed. Joe then took me to a Shanghai restaurant where we had too much food and the wine tasted like warm cognac (they warm it on purpose).Â It was interesting to try the new cuisine but I don’t like bony fish, but the dumplings and peas were excellent. This morning the alarm chimed at 4:50am Eastern Standard Time. I woke up Crystal and we left the Rock Rose Hotel (Nick and Tammy’s house and my former residence) headed for Orlando International Airport. Having only slept a few hours we were both sleepy but I was eager to get the traveling over with as well as my business meetings and sightseeing started. Crystal on the other hand did not want me to leave regardless of the fact that I’d only be gone for less than a week. After pulling up to terminal B and gathered my luggage together, We said goodbye and I headed inside the door. No matter what time I arrive at the airport it is always busy. I could have been there at 5:30am and I would’ve run into the same slow downs as I did this morning. This time, though, I thought I was prepared. I would do something to speed up the process and allow myself that extra half hour of sleep — check in online the day before I depart. Lesson 1: Checking in prior to leaving the house does not do anything to speed up the check in process at the departure window. I still stood in line for a good while and still had to present my flight information — the same flight information I would have to present if I did not check in. Somehow I thought in my mind that I would bypass the long line and simply check my baggage. I was wrong. The advantage, looking back now, is in the seat selection. When I booked the flight in December seats in the last row and nearest the lavatory were magically assigned to me. Luckily, I changed the longest leg of my journey to a seat that had no other people in the row hoping for the best that seats 33 A, B, and C would be solely mine. I got through the security check with no trouble at all and then had a choice to make — left or right. Half of the gates were on one side and the other half on the other. Lesson 2: the printout from the online check in process does not give me a boarding gate number. Unfortunately, when I checked my baggage I had neglected to get the gate number. I chose the right train and after exiting was faced with another choose-my-own-adventure. Left, right, or straight ahead. The departure screens show one flight at 7:35 and it’s to St. Louis. I must be in the wrong place, I thought. In fact, none of the departing flights to Chicago O’Hare were even listed. The screens only showed flights to Midway. How could this be? So by this time I’m calculating my odds. One in two that I get the first part right and now one in three I get the second part correct as well… a total of one in six. As a teenager, I was pretty handy at picking the win-a-free Sprite bottle caps from the 20 oz. bottles and those odds were also one in six — I might have something going here. That sounds ridiculous, but these are my thoughts as I walk straight ahead through the concourse foyer. Down through the tunnel I see some encouraging signs with US Airways and United gates. I walk towards the end of the terminal and there’s my gate. What’re the chances? One in six. I was right. Still with ample time I wanted to figure out how I didn’t know what gate I was supposed to go to and how difficult must it be to find the gate you’re looking for anyways. Why didn’t the departure information relay the correct information? Knowing I am in the right place, I did a little research. A little I say because as soon as I saw the crossaint stand I got distracted, stood in line, and decided figuring it all out really wasn’t that important. The relatively short flight aboard an Airbus A320 from MCO to ORD was full, but went quickly. The layover was only 45 minutes if we arrived on time. Did we? Yes and no. The plane landed on time but then the arrival gate was taken by another plane that failed to depart on time. We sat on a piece of holdover tarmac for about 15 minutes and I purposefully choose not to look at the clock knowing I will soon become irritated. Naturally, I’m concerned because if I miss my flight I will be delayed until the next morning or perhaps have to take a different journey to Hong Kong. Neither of which appealed to me. In Chicago, the temperature was hovering around 9 degrees Fahrenheit and I certainly wasn’t dressed for that kind of weather. In fact, I had two sweatshirts — one of which was in my checked baggage. Furthermore, the coldest weather I had ever been in was probably somewhere in the high teens and even then I had a proper winter jacket and some long underwear. If I had to take a different flight I wouldn’t be able to communicate the problem to my Chinese guide who would be picking me up from the airport on Sunday. Not only that but my luggage would probably be lost. All this worrying for absolutely nothing. After getting into concourse B I look up and my next flight is right across the hallway and will be boarding for another 20 minutes. Just enough time to call my mother, Crystal, and Kari to tell them I will soon be in China. I’ve had mixed emotions about this leg of the trip. At around 16 hours, it is the longest flight on which I have ever embarked. On the other hand, I’m interested to see how my body will react to the time change and overall length of travel. Additionally, I’m excited about flying on a Boeing 747-400 because it’s been a really long time since I had been on one before. The last time the only thing I can remember was walking up around first class and up towards the cockpit after being invited to visit the control room by the captain. I was probably five years old and this was well before any security restrictions mandated no one be allowed in front of the cockpit door. I’ve mentioned in previous posts how I find it remarkable what I remember as a child. Ninety nine percent of things I probably forget but I remember seeing the curvature of the inside of the plane as I walked aimlessly, and also what it looked like out from the cockpit to see the sun beating down on the sea of clouds beneath us. I also remember getting some wings from the copilot. Anyways, I digress. From Chicago we headed north through Canada at a bearing that took us about 70 miles east of the North Pole. As I type right now the current ground speed is approximately 570 miles per hour at a cruise altitude of 35,000 feet. The outside air temperature is minus 90 degrees Fahrenheit. I find it really fun that below me in a polar ice cap and that I will actually travel over the Arctic Sea. From the North Pole (my current location) the plane will head south over mainland China onward to the final destination: Hong Kong. My journey doesn’t end there, though. After being received by Joe, my guide, at the airport, I will travel into mainland China to the industrial city of Shenzhen. It’s here where I will spend the majority of my time in business meetings with Chinese factories that are eager to have my business. I mentioned before about the seat selection being the only advantage I found by checking in online. As I got onto the plane, there was a woman sitting in the exact seat I was supposed to have. When I walked and stopped at the row she left. Three seats were all mine. As it turns out, my seat is about a close as you can get to business class without actually having a business class ticket. It’s really nice to see the gentlement in front and to the right of me laying completely flat in a large, comfortable leather throne. I only say throne because I’m jealous. With about 7 or 8 hours left to go, I figured now is as good a time as any to start typing. I made it through one and half books (granted the half was an audiobook), a nap here and there, and I’m feeling very productive. So productive in fact that I think there’s Arrested Development in my very near future. More to come soon. For the past two years, I’ve been an avid listener to The Dave Ramsey Show. The financial advice is solid and has encouraged me to change the way I handle money. In just ten months I’ve had a significant swing between being in debt with student loans to actually having cash in the bank and investing in my retirement in my early 20s. In March I paid of my Federal Stafford loans and became completely debt free. Paying off my loans was the culmination of a solid year of working three jobs and going to school full time. I wasn’t sad to part with the money I had earned — writing that check was one of the best things I’ve ever done because not owing anyone a single dime is a wonderful feeling. I didn’t realize how good it would feel until I didn’t have a single debt payment. While out of college for almost a year now, I live cheaply and reap the benefits of financial freedom. I now part own and work for my own company, Pervasa, and have been there full time since leaving Lockheed Martin in August. I’ve been able to contribute 15% of my income to retirement — including fully maxing out my Roth IRA for 2006 on top of contributions to a 401(k). My six month emergency fund is fully funded and I’m saving for a place of my own so I can stop renting. I don’t worry about how I’m going to pay rent or the electric bill, nor do I worry about being able to travel and have fun. I’m by no means loaded and my income is not high, but I am winning better than I thought possible one year ago. On Halloween I was listening to the second hour of The Dave Ramsey Show and the topic was bankruptcy. I’ve listened to hundreds of hours of this show, but this was the first bankruptcy theme hour I’ve caught and I was shocked with the bankruptcy statistics Dave was firing off. So shocked, in fact, that I had to verify what he was saying was true. In 1984, there were 240,000 people who filed bankruptcy. This year it is estimated that over 2,000,000 people will file (keep in mind the fiscal year ended June 30, 2006, and includes filing prior to the new bankruptcy law). That means in 22 years, there has been an 834% increase in the number of filings. I thought, “there’s no way that’s right,” and then I checked a few sources to cross reference the numbers. According to Liz Pulliam Weston, an MSN Money columnist, US courts are now seeing approximately 2,000 new filings per day . Couple that with figures compiled from www.bankruptcyaction.com, some 2,690,000 people (a total of 2,039,214 personal filings) filed by the end of the calendar year 2005 [2, 3]. Is this a surprise? Not really. Americans are falling deeper and deeper into debt — houses, cars, student loans, credit cards — with no end in sight. A May 2006 study by the Center for American Progress showed that in 2005 household debt surpassed household income by 8.4 percent . This means Americans, on average, owe more than 8% more than they earn in any given year. This figure does not include mortgages and as a result, US consumer debt stands at approximately $2.17 trillion . It’s difficult to imagine that much debt but it’s 217 followed by 10 zeros, or $2,170,000,000,000. That’s $7,233 for every man, woman, and child in the United States. Couple that with government deficit levels at about $8.6 trillion and the amount per person becomes ming boggling. It’s no surprise why so many Americans file for bankruptcy, but who actually files? Deadbeats, the uneducated, the poor? No. According to The Fragile Middle Class: Americans in Debt, by Teresa A. Sullivan, Elizabeth Warren, and Jay Lawrence Westbrook, the average age for filing is 38. More single women file than single men at a rate of about 15 to 13. Almost half of the filings are couples. On the whole, those who file are “slightly better educated than the general population.” Greater than 90% have suffered a job loss, divorce, or medical event . During the radio show, Dave Ramsey claims “most have had all three.” When the dust settled, 1 in 60 US households filed for bankruptcy in 2005. Those living in Indiana, Ohio, Utah, Tennessee, and Oklahoma had the worst of it with more than 1 in 40 homes filing chapter 7. The primary impact of the new law appears to be more paperwork and higher expenses for cash strapped consumers filing for bankruptcy. Weston, Liz Pulliam. “The Bankruptcy Boom is Back.” MSN Money. Link to Article. Archive of Article. “Bankruptcy Statistics: 1980 to 2006.” BankruptcyAction.com. 28 Aug. 2006. Link to Article. Archive of Article. Sullivan, Teresa A., Elizabeth Warren, and Jay Lawrence Westbrook. “The Fragile Middle Class: Americans in Debt.” Yale University Press. September 01, 2001. Weller, Christian E. “Drowning in Debt: America’s Middle Class Falls Deeper in Debt as Income Growth Slows and Costs Climb.” May 2006. Center for American Progress. Link to Article. Archive of Article. Bennett, Jessica. “Q&A: Why Consumer Debt is Rising.” Newsweek Business – MSNBC.com. 8 Aug. 2006. Link to Article. Archive Pages: 1, 2, 3. Weston, Liz Pulliam. “Bankruptcy Law Backfires on Credit Card Issuers.” MSN Money. Link to Article. Archive of Article. “National Association of Consumer Bankruptcy Attorneys (NACBA) Bankruptcy Law Anniversary Survey.” The Hastings Group. 04 Oct. 2006. Link to Article. Archive of Article. I’m like receiving podcasts/netcasts from the web, but in Ubuntu they do not play with the standard installation. This isn’t by accident nor is it an oversight, but is due to licensing and legalities. 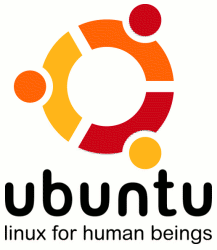 There are tons of Ubuntu Linux users, though, that have gotten them to work. There are a number of ways to do this, but the easiest way is to install Automatix2. The audio codecs are pretty straight forward to install with Automatix, but the DVD and other codecs are a little dicey with regards to legality so I’ll just leave them alone and will choose not to install them. One of the annoying things right out of the box is that the default screen resolution (1440×900) is not automatically detected. Instead, Ubuntu and Xwindows shows 1024×768 — which on this screen looks horrible on a widescreen LCD. Fortunately, this problem is easily fixed. Go through the menus choosing the defaults and when given resolution options make sure to select the 1440×900 resolution. Once finished, restart X by hitting Ctrl+Alt+Backspace (save any unsaved work before doing this). Upon restarting the server the screen resolution should be set to 1440×900. Now this solves the resolution issue in X but what about during startup or shutdown? Over the past few months, I’ve been moving more and more towards using an open source operating system full time. I no longer have a useable desktop and it’s too expensive right now for me to build a new system (well, one that I really want), so I’m currently using my work laptop.Â It’s a work PC, so inevitably there’s a need for Windows for some users. My solution? Run Ubuntu using Parallels Workstation.Â I don’t hate Windows by any means, I just really like using Ubuntu. 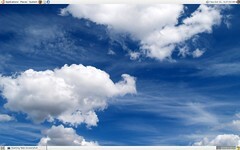 I first heard of the Parallels Virtual Machine (VM) a few months ago on an episode of the Security Now netcast. At first I thought it was only for Apple machines but about a month ago I tried the demo version of Parallels Workstation. 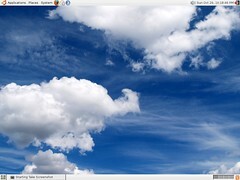 I was pleasantly surprised on how easy it was to use and how easy it was to install Linux as a virtual machine. After installing Parallels Workstation downloading Ubuntu version 6.10 (Edgy Eft), I burned the ISO to a CD and fired up the VM (Other Linux in the VM selection wizard). The LiveCD loaded and I clicked install to install Ubuntu to the virtual hard drive. In about 15 to 20 minutes, the VM rebooted and I was running Ubuntu inside of Windows. While it is very useful for me to be able to run Linux, doing it inside a virtual machine isn’t the best solution. Some things just don’t run as they should. A prime example of that is hardware acceleration. As far as I know, currently there’s no way for Parallels to use the video card to accelerate the video. I’ve also found that only one of two cores are recognized with a dual core processor. There is one item that I’ve found to be a lot easier to configure in the VM than when running natively. On this particular Dell Latitude D620, the 802.11b/g card is the Dell Wireless 1390 WLAN Mini-Card. I’ve had nightmares getting this card to work when I boot into Ubuntu, but the network connection from Windows works perfectly in the VM due to the virtual NIC provided by Parallels. Everything should work now that everything is installed, I’ve created my user account, and have logged in. Not quite, but it’s much better than any other Linux distribution I’ve used in the past. At least my sound card, keyboard, mouse and other pointing devices work… and that I get into X without any hassle. Gnome desktop looks great, too. What’s there to fix? 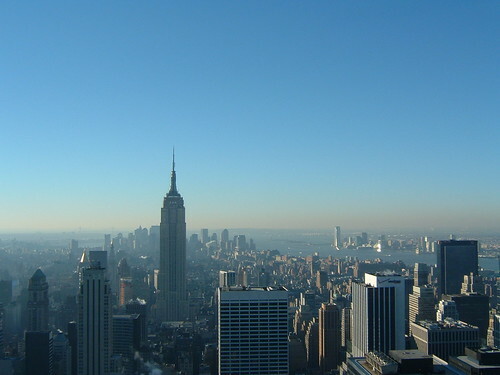 I took this photo on Tuesday morning atop Rockefeller Center. It was extremely cold because of the 20 something temperature and wind 70 floors up. On my latest project I found a need to use Bitmap images in my .NET Compact Framework application. Using Visual Studio 2005 (Beta 2) and the Windows Mobile 5 SDK the application is currently stable on an HP iPAQ running WM5. There are a few things that annoy me about developing on this platform, though, because the Compact Framework 2.0 is still buggy and the API is not well documented nor easy to find on the MSDN site. In the above code I transform the bitmap into a byte array (byte) using the MemoryStream class. The length of the byte array is stored to the XML file and then the entire byte array is written. Again, this is the easy part. The reverse — turning the byte array into a bitmap image — is not necessarily difficult but it took a while to find.